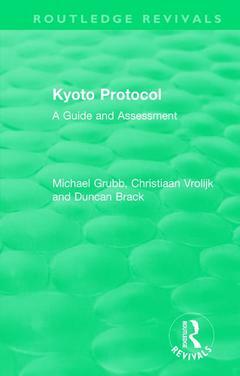 Originally published in 1999, The Kyoto Protocol provides a detailed discussion on the history, terms and implications of the Kyoto Protocol 1997. It explains the meaning of provision on emissions trading and other flexibility mechanisms, and provides a quantitative analysis using the Energy and Environment Programme's emissions trading model. It also contains the full text of the Kyoto Protocol and developments at the 4th Conference of the Parties in December 1998. This book will be of interest to academics working in the field of climate change, as well as the broader area of environment and sustainability.